Laurel, MD – February 15, 2018 – (RealEstateRama) — WSSC has calculated the total volume of the two sanitary sewer overflows (SSOs) caused by excessive rain in Prince George’s County. The first SSO occurred at WSSC’s Broad Creek Wastewater Pumping Station at 10315 Livingston Road, Ft. Washington, Md., and began at 7:48 a.m. Sunday and ended at 1:20 p.m. Sunday. During the overflow, all six pumps at the station were in operation, however, rainfall totals in excess of three inches from Saturday to Sunday exceeded the station’s maximum pumping capacity. The total amount of untreated wastewater that entered a drainage ditch, which eventually flows into Broad Creek was 520,000 gallons. WSSC crews have cleaned up the affected area and spread lime to neutralize the odor in the wake of the overflow. Sixteen signs have also been posted warning people about the overflow. The second SSO occurred at 14300 Indian Head Highway, near the Piscataway Wastewater Treatment Plant (address originally reported as 11 Farmington Road W. in Accokeek, Md. ), and began at approximately 9:39 a.m. Sunday and ended at 1:30 a.m. today. Due to excessive rainfall, extremely high wastewater flows came into the plant at the time of the SSO, causing a manhole just off the plant’s grounds to overflow. It is estimated that 951,000 gallons of untreated wastewater flowed into Piscataway Creek. WSSC crews have posted 10 signs warning people to avoid the area. 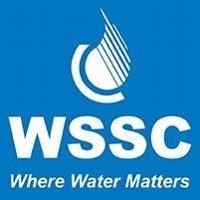 It is important to note that WSSC’s water and wastewater systems are separate. This overflow did NOT affect WSSC’s drinking water. WSSC notified the Maryland Department of the Environment and the Prince George’s County Health Department. WSSC is committed to protecting the health of the public and the environment. With more than 5,500 miles of sewer mains throughout its service area, WSSC appreciates notification from citizens of a sewer back up or water main break. Please call our 24-hour Emergency Call Center at 301-206-4002 to report water or sewer emergencies in Montgomery or Prince George’s counties. Customers can also report emergencies via email at emergencycallcenter@wsscwater.com and those customers who have smart phones can report emergencies using the WSSC Mobile App.